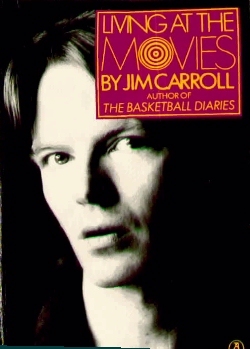 Description: This 273-page collection includes all of the poems from Living at the Movies, most of The Book of Nods, and 15 new works, including "Curtis's Charm" and "Praying Mantis." Description: This 172-page collection is divided into two sections: "The Book of Nods," "New York City Variations," "California Variations," and "Poems 1973-1985." 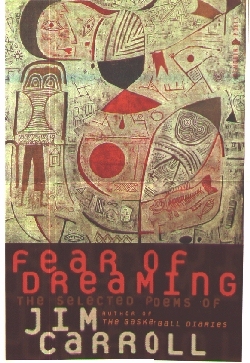 The book is now out of print, but most of the works are reprinted in Fear of Dreaming, listed below. Description: 100 pages. The Grossman edition features cover art by Larry Rivers and was issued in both hardcover and paperback; both are hard to find. 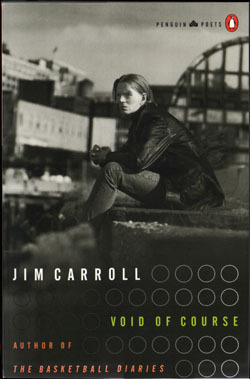 The Penguin edition, with a cover featuring a photograph of Carroll, is widely available. Also, all of the poems in Living at the Movies are reprinted in Fear of Dreaming, listed below. Five poems in an eight-page photocopied pamphlet. All poems are reprinted in Living at the Movies. 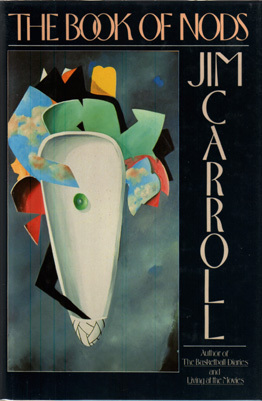 Carroll's first book, published when he was 16 years old. The book is 17 pages long and contains 16 poems.